Hotel Heaven is one of the reputed and the oldest hotels of district Chamoli. 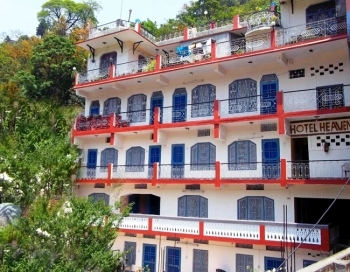 The hotel started its operations way back in 1982, since then it has become the popular budget deluxe hotel in Chamoli. Hotel Heaven is located on the main Badrinath road, just 16 kms from Pipalkoti and 71 kms from Joshimath. Hotel heaven is lies between Pipalkoti and Nandprayag. It is an ideal place to stay while visiting Badrinath, Kedarnath, Auli, Chopta, Hemkund and Valley of Flowers. The hotel Heaven provides semi deluxe and deluxe rooms with attach drawing area. Each room has tv , telephone and attached bath with hot and cold water supply and a good scenic view. 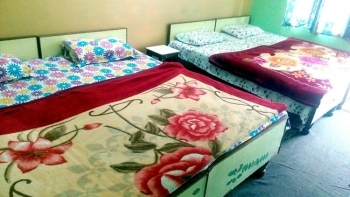 There are total 20 rooms in hotel with different facilities. Heaven restaurant provides vegetarian food both indian and chinese. The hotel is 244 km from the ISBT Bus Station Dehradun, 240 km from the Dehradun Railway station and 216 km from the Jolly Grant Airport Dehradun.